Where are you the luckiest? Jupiter in houses one to twelve indicates the area of life you feel the most hopeful and positive. Jupiter will generally protect and make sure you land on your feet. Jupiter is ruled by Sagittarius and Pisces (modern ruler for Pisces is Neptune). To find out which house Jupiter is situated in your chart go to www.astro.com and complete the details. With Jupiter in the first house you like to see the big picture. You have the ability to inspire yourself as well as others and enjoy to putting new life into projects. Sometimes you may exaggerate and over extend your capacity. Jupiter wants to expand, so weight can sometimes be an issue. With Jupiter in the second house you enjoy expanding your resources. You gain a sense of joy and completeness in life when you feel as if you are taken care of financially. You have the ability to pick yourself up - even if bankrupt you will find an opportunity will come along to help you get back on your feet. You can earn money through teaching, travel, religion or philosophy etc. With Jupiter in houses like the third house where communication is important, you always have something to say. Knowledge is important as you have strong desire to learn. With Jupiter in the third house writing, teaching, study and travel may be areas of interest. Look at areas where your mind can develop and grow. Brothers and sisters may also have a big impact on your life. With Jupiter in the fourth house you enjoy living in a rural environment or somewhere you have a nice view. Home is important, but at the same time you need to have plenty of room to move around. You are fond of travelling whilst you explore your need for spiritual growth. With Jupiter in the fifth house you want to play and have fun. Romance is important and you enjoy the chase as well as the love and excitement that a romantic connection brings. You are also likely to enjoy and have good rapport with children. Creative and artistic ability is enhanced with this position as well the desire to enjoy games of chance eg. playing the stock market. With Jupiter in the sixth house you enjoy working and being of service to other people. Your work may involve things that are ruled by Jupiter eg travel, teaching, culture or sports etc. It is also possible that you may burden yourself with too many responsibilities that you do not have time to look after your own body. Diet and exercise are also ruled by this house so you may passionate about health. With Jupiter in houses linked to partnership - Jupiter in the seventh house wants a partner to bring warmth, generosity, optimism or material wealth. Or, you may be the one that provides this for your partner. You may also be attracted to someone that is foreign or influential. It would be easier if you have a partner who encourages you to explore other interests outside your relationship. Jupiter in the seventh house can also indicate you enjoy being single so you are free and not tied to one partner. With Jupiter in the eighth house you have the potential to benefit financially in marriage or expansion through other peoples money. Windfalls and inheritances are likely. You are often the one that will push open a door that others would not open - as it might be the answer to life that you were looking for. A crisis for you is often looked at as a chance for growth and change. 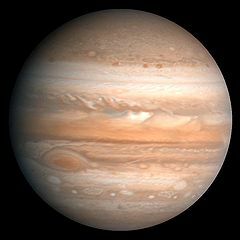 With Jupiter in houses ruled by travel and higher education you have a desire to look at ways of expanding your awareness and discover the meaning of life. You would make an excellent teacher, writer, coach etc. as you have the ability to express yourself clearly to others. With Jupiter in your ninth house you are likely to have a good relationship with your in-laws. With Jupiter in houses where it wants to be seen for its power and leadership abilities this is a powerful position. It is through career, status and recognition that you find more meaning to your life. With Jupiter in the tenth a career in travel, teaching, corporate management, law, banking, education, politics are some areas that might interest you. No matter what area you work in you will bring energy, passion, ideas and enjoy working with others. With your Jupiter in the eleventh house you enjoy social interaction with friends and groups. You want to make a difference and are often found in organizations that promote humanitarian causes. You have lots of goals and dreams you want to achieve in life. With your optimism you should be able to achieve what you want and will find friends will also help you along the way. With Jupiter in houses closely linked to the spiritual side of life. Having Jupiter in the twelfth house your inner life is often rich and expansive. You gain significant wisdom and fulfillment by taking time out to meditate. Being on your own is not a lonely experience as you enjoy spending time immersing yourself in your own thoughts and fantasies. You are very compassionate towards people and you may work as a volunteer or some kind of area where you can help others.